Fibromyalgia and lupus can exhibit similar symptoms such as joint and muscle pain, fatigue, depression etc. The two medical conditions may be confused with one another. However, it is not difficult to differentiate between them. Firstly, it is important the know that the nature of the two conditions are vastly different. Fibromyalgia is a disorder which causes widespread musculoskeletal pain throughout the entire body. The cause of fibromyalgia is still unclear. However, many seem to agree that it is a neurological condition which increases pain sensitivity in patients. On the other hand, lupus is an autoimmune disease. This means that the immune system mistakes good body cells as virus or bacteria and attacks them. Lupus affects both the organs as well as the joints. People with fibromyalgia or lupus will experience the symptoms in different ways and in varying severity. Like fibromyalgia, lupus can also exhibit periods of flares and remission where symptoms are severe and mild respectively. In addition, fibromyalgia is characterized by tender points which occur at specific spots of the body. This symptom is unique to fibromyalgia and not seen in lupus. Up to date, physicians still have trouble diagnosing fibromyalgia because there are no definitive blood test or scans to prove that a patient has fibromyalgia. Although tender points are one of the key criteria of fibromyalgia diagnosis, they do not show up in scans. A physical examination of tender points by a physician is part of the diagnosis of fibromyalgia. A patient diagnosed with having at least 11 tender points and has been suffering from the symptoms for at least 3 months may be positive for fibromyalgia. One of the key differences between the two conditions lies in its diagnosis. Unlike fibromyalgia, lupus can be diagnosed through blood test, specifically an antinuclear antibody test which is 98% accurate. Those who test positive for the antinuclear antibody test may no longer need any further testing. There are also other approaches to diagnosing lupus. 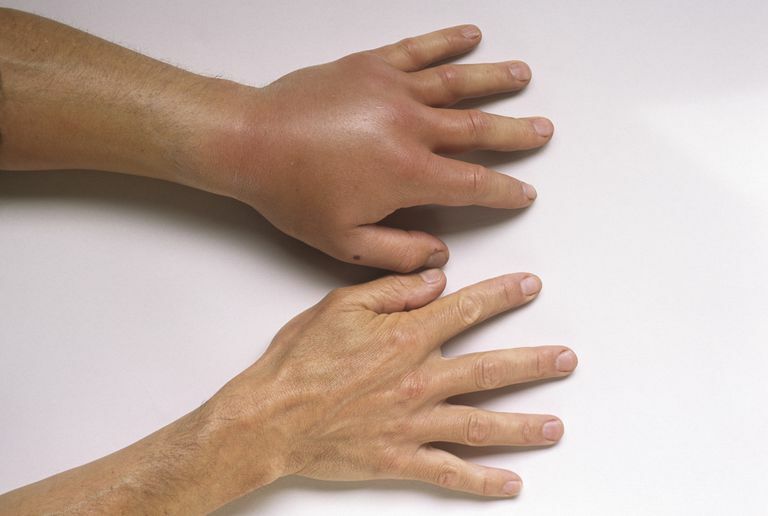 A person is also diagnosed with lupus if 4 out of the 11 common signs of the condition are found. It is important for people who are showing both symptoms of fibromyalgia and lupus to see their doctor for diagnosis and treatment as soon as possible. Early detection of these conditions can help physicians to come up with a more effective treatment plan that can help to limit the debilitating effects of these diseases.